Der Trainingskampf zwischen Sakura und Naruto auf der einen und Kakashi auf der anderen Seite geht weiter. Kakashi ist klar im Vorteil und fragt sich, ob er die Fortschritte seiner Schüler vielleicht zu früh gelobt hat. Naruto erinnert sich daran, dass Kakashi ihnen beigebracht, dass man die Schwachpunkte des Gegners herausfinden muss, doch Kakashi scheint keine zu haben … bis auf seine Leidenschaft für das ‚Flirtparadies‘ – und genau damit kriegen Sakura und Naruto ihn dran. Sie gewinnen. Derweil kämpft Gaara immer noch gegen Deidara, von dem immer noch niemand weiß, was er eigentlich in Suna-Gakure will. Gaara wird von den Dorfbewohnern von Suna – Gakure inzwischen anerkannt. Ja, man sieht ihn dort mittlerweile sogar als große Stütze, nicht mehr als Sonderling. Seine Auseinandersetzungen mit Deidara verlaufen allerdings nicht immer gleich erfolgreich, auch wenn er mit seinem speziellen Sand, seiner ‚Absoluten Verteidigung‘, gewisse Vorteile zu haben scheint. Deidara hat seine eigene Kampfeskunst entwickelt und die scheint sehr wirkungsvoll zu sein. Tsunade hat mit Sakura, Naruto und Kakashi etwas Besonderes vor. Sie sollen als gleichwertige Mitglieder ein Team bilden, und auf Mission gehen. 1x6 – Endlich wieder Nudelsuppe! 1x7 – Lauf, Kankuro, lauf! 1x8 – Bereitmachen, Team Kakashi! 1x16 – Was wird aus Suna-Gakure? Kakashis und Guys Teams sind nun beide vor der Höhle angekommen, in der sich nach Aussage von Pakkun Gaara befinden soll. Doch prompt stehen sie vor der nächsten Hürde, denn sie kommen nicht hinein. Die Tür ist mit einer fünffachen Barrikade versiegelt, die nur unter bestimmten Bedingungen beseitigt werden kann. Es gelingt ihnen, dies zu tun, doch schon bald stellt sich raus, dass sie möglicherweise in eine Falle getappt sind. 1x19 – Team Guy gegen Team Guy? Der Kampf von Chiyo und Sakura mit Sasori geht weiter. Chiyo setzt zwar ebenfalls Marionetten ein, aber die versagen, weil Sasori mit eisernem Sand kämpft, der sich in die Gelenke setzt und die Puppen damit unbrauchbar macht. Chiyo versucht es mit einem letzten Mittel, indem sie einen ihrer Arme in einen Marionettenarm verwandelt, doch auch das schlägt fehl. Sakura kommt auf die Idee, sich von Chiyo als menschliche Marionette einsetzen zu lassen … kann sie den Kampf damit für sich entscheiden? Chiyo benutzt ihr Reinkarnationsjutsu, um Gaara wiederzubeleben. Da Chiyos Chakra nicht mehr ausreicht, hilft Naruto ihr und legt seine Hände auf ihre, um ihr sein Chakra zu geben. Als das Jutsu vollbracht ist, wacht Gaara auf und Naruto ist zusammen mit mehreren Suna-Nins an seiner Seite, was Gaara sehr berührt. Leider musste Chiyo für dieses Jutsu ihr Leben geben. Letztendlich, nachdem Gaara wieder bei Kräften ist, halten alle eine Schweigeminute für Chiyo. Es stellt sich raus, dass Deidara die Explosion überlebt hat. Inzwischen sind Zetsu und sein Untergebener Tobi auf dem Schlachtfeld von Sakuras, Chiyos und Sasoris Kampf angelangt. Tobi findet daraufhin Sasoris Ring und bittet darum, endlich ein Mitglied von Akatsuki zu werden. Währenddessen warten alle Einwohner Sunagakures vor dem Eingangsbereich des Dorfes auf ihren Kazekage. Bevor sie ins Dorf hinein gehen, halten alle eine Schweigeminute für Chiyo. Das gesamte Dorf ist froh, dass ihr Kazekage unversehrt zurückgekommen ist. Bevor die Konoha-Nins das Dorf verlassen, besuchen sie ein letztes mal Chiyos Grab. Gaara bedankt sich bei Naruto, für das, was er für ihn getan hat und schüttelt ihm die Hand. Als Team Kakashi und Team Gai aufbrechen, veranstalten Gai und Lee ein Wettrennen. Mittlerweile haben Zetsu und Tobi Deidara gefunden. In Konoha bekommt ein Gewisser Sai eine neue Mission von Danzou. Everyone has returned to the Hidden Leaf Village. Kakashi is hospitalized for a week due to the strain caused by his Mangekyo Sharingan. The new Team Kakashi heads for Tenchikyo. To Naruto, Sai is just temporarily filling in for Sasuke. When Sai shows his contempt for Sasuke, the antagonism comes to a head. Sakura comes across Sai working on an abstract painting. He tells her that he's unable to give it a title. Bothered by his manner, Sakura finds an unusual picture book among Sai's things. In preparation for Tenchikyo, Yamato conducts a half-day simulation in order to get a grasp on the fighting skills and jutsu of Team Kakashi. Sai abandons Naruto to conclude the simulated mission successfully. The day for capturing the spy is finally here. Just as planned, Yamato takes on Sasori's likeness and waits until the Akatsuki spy appears. The spy turns out to be none other than Kabuto. Faced with Orochimaru, his sworn enemy, Naruto suddenly releases the power of his Nine-Tailed Fox. When Yamato sees Naruto's fourth tail appear, he recalls Jiraiya's tale of how he nearly lost his life to the transformed Naruto. Yamato has been ordered to suppress the Nine-Tail chakra that would adversely affect Naruto's body. Then, the secret of Yamato's Wood-Style ninjutsu becomes apparent. When his third tail appears, all that Naruto can see is Orochimaru. He is blind even to his teammates. With the release of his fourth tail, Naruto completely loses his awareness and is overtaken by destructive impulses. Although he has changed almost completely into his animal form and has lost all awareness, Naruto refuses to give up the idea of bringing Sasuke home. Taking advantage of the confusion, Sai makes contact with Orochimaru. After reviewing the contents of the documents given to him, Orochimaru decides to take Sai back to the hideout. Naruto and Sakura are shocked when they hear that Danzo's goal is to work with Orochimaru to once again attempt to defeat the Leaf Village. Naruto is shocked to learn that he was the one responsible for the destruction around them and for Sakura's injuries. Sai shudders when he finally meets Sasuke face to face in Orochimaru's hideout. The list that Sai gave to Orochimaru lists the members of the Anbu Black Ops, the corps under the direct control of the Hokage. Team Kakashi is able to find Sai with Yamato guiding them. They immediately begin questioning Sai about Danzo's plans for destroying the Leaf Village, and surprisingly, Sai divulges everything. 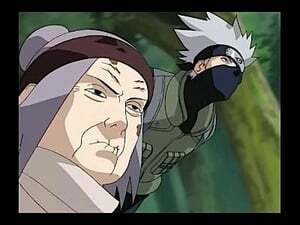 Kabuto carries out a surprise attack on Team Kakashi to take back Sai, but a change has come over Sai since Sakura pointed out his contradictions. Naruto, while nursing his injuries caused by the release of the Nine-Tailed Fox, searches frantically for Sasuke. Seeing this, Sai recalls the feelings he once had for his older brother and finally manages to complete his unfinished picture. Team Kakashi are stunned to learn that Sai's true mission is to kill Sasuke. Naruto wants to believe that the smile Sai showed them was real, but there is a possibility that it was all an act. Team Kakashi finally have their wish to be reunited with Sasuke granted. Although it has been three long years, Sasuke's feelings have not changed. His ultimate goal is to get revenge against his older brother, Itachi. Sasuke's desire for revenge remains firm, no matter how hard Naruto tries to talk him out of it. Yamato tries to take Sasuke by force, but interference by Orochimaru brings things to a quick close. Naruto's been having nightmares about a mysterious person releasing the Nine-Tail's power. After remembering their recent encounter with Sasuke, Naruto realizes that he must get stronger. Meanwhile, Sai tries to adapt to everyday life with Naruto and Sakura. When the group goes to visit Kakashi to discuss the situation, Kakashi lets Naruto know that he has special training for him that will make him stronger, fast. They are joined by Team 10, who have also come to visit. Naruto begins to train with Kakashi. Kakashi finds it exhausting working with Naruto, who can't understand anything explained to him. Learning that his chakra is of the "wind" type that is outstanding for fighting, Naruto puts more effort into his training. Team Kakashi is ordered to resolve the frequent vandalizing of graves at the Fire Temple. When it becomes clear that the vandals aren't after the possessions buried with the dead, Yamato suspects that they want the corpses of the ninja buried in the four hidden tombs near Fire Temple. At the Fire Temple, Chiriku explains to Team Kakashi that the hidden tombs hold the guards of the Land of Fire's feudal lord. At one time Chiriku and Asuma were members of that organization. Team Kakashi learn about a terrible incident caused by the Twelve Ninja Guardians. Meanwhile, as Naruto watches the young monks training, he notices a strain in the relations between Sora and the other monks. Sora confronts Furido, the mysterious figure who has broken into the hidden graves. Impressed by Sora's unusual strength, he admonishes him, "You should reevaluate how you use that power Heaven has blessed you with," and disappears, leaving him with a cryptic message that he is an old friend of his father. Yamato believes that the assailants were not grave robbers but were after Sora. He decides to appoint Sora to Team Kakashi as a temporary stand-in for the injured Sai. In order to stop the impending disaster, Asuma rushes toward the electric generator system. There he sees the Guardian Shinobi Twelve who have come to life once more through Revival Jutsu after their graves were robbed. Naruto deduces that Fuuka's secret consists of switching bodies to use each corresponding element and that her hair preserves her youth and body. Naruto damages her hair and it takes a life of its own dispensing the body, but Naruto finally kills it with a Rasengan. Meanwhile, Asuma manages to break free of the electric barrier, catch up with Kitane and defeat him in a short fight. Realizing that Kitane is no more, and that his three other companions were killed, Furido causes the 3 other ninja guardians to disappear. But Furido has a back up plan, Sora. Naruto and Asuma catch up to Sora, only to find him shrouded in ominous chakra and undergoing a change. Furido's true form belongs to Kazuma, one of the Guardian Shinobi Twelve who had planned the coup d'Ã©tat. Asuma puts his honor on the line and goes back ten years to battle Furido once more. The struggle between Naruto and Sora continues. Asuma and Kazuma fight. Sai arrives, having sneaked out of hospital, and binds Kazuma with an ink snake. Kazuma breaks out of Sai's jutsu and charges Asuma, but is killed. Naruto eventually reaches Sora, who manages to release the Nine Tails's chakra. Sora then leaves the village to travel the world. Asuma and Shikamaru play shogi and discuss who the king of Konoha is. 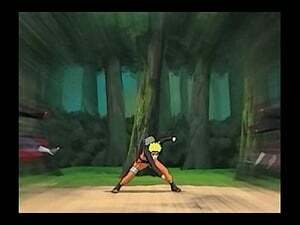 Elsewhere, two Akatsuki members, Hidan and Kakuzu, appear chasing the Two Tails Jinchuuriki. Work continues in Hidden Leaf Village to erase the scars of battle. As he watches Konohamaru and the others helping with the reconstruction, Iruka sees how his students have matured. With Kakashi's return, Naruto resumes training for his new jutsu. Kakashi explains that the transformation training will enter the next stage. This time, only Wind Chakra will be used to cut through a waterfall. Hidan and Kakuzu, who have captured Two Tails, leave it with Zetsu and head for the Land of Fire in search of Nine Tails. The first place they reach is the Fire Temple, where the priests go into a near panic, and Chiriku confronts the Akatsuki. The lone surviving priest is carried into Hidden Leaf Village where he reports the destruction of the Fire Temple. Naruto is learning the elements of Wind Style Jutsu, and Kakashi lectures him on the difficulties of developing a new jutsu. According to Kakashi even the Fourth Hokage was not able to embed elemental chakra into his jutsu. Naruto feels a heavy sense of responsibility and puts his entire being into developing the new jutsu. Meanwhile, the Akatsuki duo turns in Chiriku's body to collect the bounty. What is the fate of the Hidden Leaf team who are pursuing them...? Asuma and his team finally confront Hidan, and a battle ensues. They fight with all their strength but are shocked at Hidan's power. Hidan releases a baffling jutsu, and Asuma bears the brunt of the attack. The jutsu is a special trick which links Hidan with Asuma's body. Hidan's immortality enables him to stay alive even with his head cut off, although he cannot move his body. Kakuzu sews Hidan's head back on with threads that sprout from his body. Izumo and Kotetsu try to attack Kakuzu, but he manages to grab them both by using his body threads, restraining them and suffocating them as well. Hidan, now able to move again, returns to the circle and stabs himself with the blades of his scythe; he finishes it off by stabbing himself in the chest with another spike, fatally wounding Asuma. Asuma is mortally wounded by Hidan's jutsu, and the Akatsuki have the rest of the Hidden Leaf in a bind. In a faraway land, the Akatsuki reveal their true aim of world conquest. And back at Hidden Leaf Village, Shikamaru gives his report of the mission to Tsunade. Asuma's funeral is held in Hidden Leaf Village amid deep sadness. Shikamaru is the lone absentee, unable to get over the loss. Kakashi and Team 10 set out to stop the Akatsuki. Tsunade considers Naruto's Team 7 to be the ideal back-up for Team 10 and orders Naruto to perfect his new jutsu within 24 hours. Shikamaru and Choji deliver the first blows in the battle, but they are thwarted by Kakuzu's power. Kakashi counters Kakuzu's trick and brings him down. Shikamaru and his comrades desperately counter the Fire Jutsu offensive. But continuously using his Rasengan and Lightning Blade takes its toll on Kakashi. Shikamaru battles Hidan alone, deep in the forest, and after depleting his chakra, sustains a deep wound. Hidan draws his blood as he lies near death. Naruto and Team Kakashi arrive just in time to assist Team Asuma. Sakura and Sai are ordered by Kakashi to aid Shikamaru, who is battling alone. 1x88 – Wind Element: Rasen Shuriken! Ino and Choji are amazed at Naruto's new jutsu, and Kakuzu senses the danger that it poses. But when released, the new jutsu dissipates before it reaches Kakuzu. Naruto's uses his new jutsu to bring Kakuzu down. Tsunade welcomes the teams back home and orders Team Asuma and Team Yamato to take a break. Just when peace has finally settled over the village word comes that Orochimaru's hideout has been found. Tsunade orders Kakashi, Hinata, Shino, and Kiba on a search mission to find the hideout. Naruto and Jiraiya arrive at the hot springs resort. As an alternative to the Wind Style: Rasen Shuriken, Jiraiya suggests to Naruto the collaboration ninjutsu with a ninja toad. Inside Orochimaru's hideout Guren witnesses Sasuke defeating a thousand opponents. Meanwhile, Kabuto and Yukimaru conduct their experiment to summon the Three-Tailed Beast. Believing Naruto's new jutsu is almost completed, Jiraiya heads off to investigate new information on the Akatsuki's movements. His arm now healed, Naruto returns to the village to continue his training. At the Leaf Village Naruto is busy training with Gamakichi and Gamatatsu. But when he learns that Kakashi and the others are out on a mission to locate Orochimaru's hideout, Naruto rushes to ask Tsunade if he can join the mission. Team Yamato heads out to provide backup for Team Kakashi. Right before his departure Naruto gets a hint to perfect his new jutsu by entering Gamatatsu's belly. From the results of the analysis of the crystallized Parasitic insects, the enemies currently fighting Kakashi's team are identified as users of the Crystal Style, a rare type of jutsu. Still unclear on what Orochimaru's objective is, Tsunade cannot hide her irritation and anxiety. Shattering the force field with his newly mastered collaboration jutsu with the toads, Naruto and the reinforcement unit arrive at the battle site. But Naruto's new jutsu is repulsed by Guren's ability to crystallize fluids. The Leaf ninja use The Bat to pursue Guren. Akamaru and Kiba detect a high level of chakra present at their destination. Convinced something abnormal is about to happen, Kakashi sends Naruto to the lake right before entering battle with the enemy. Inside the heavy mist, the Leaf ninja manage to rendezvous with Naruto. The team tightens their guard when they learn that the mist surrounding the lake causes illusions. The team discovers that the enemy is after the Three-Tailed Beast, and faced with this unexpected development, Kakashi decides to ask for Tsunade's guidance. Naruto enters the mist to seek out Yukimaru. Guren stays alert to protect Yukimaru, whose current situation prevents him from moving. When both sides meet, their emotion over Yukimaru sparks. Reinforcements arrive from the Leaf Village. The new mission from Tsunade: seal the Three-Tailed Beast so it won't fall into anyone else's hands and take Yukimaru whose powers are tied to the Tailed Beast into custody. Kabuto plans on breaking the Leaf's The Four-Corner Sealing Barrier from the inside by using Yukimaru's power and have the Three-Tailed Beast go on a rampage. To protect Guren from the raging Three Tails, Yuukimaru exerts powers beyond his limits. Moved by his action, Guren now comes to regret her past sin of killing Yuukimaru's mother. To protect Yuukimaru, Naruto and Guren fight alongside each other against the Three-Tailed beast and are swallowed. Inside the beast is an unnatural world filled with limestone. The Leaf ninja learn that Naruto is inside the Three-Tailed beast. With no other alternative but to trust Yuukimaru's mystical senses, Kakashi and the others follow the boy's guidance and attempt a rescue mission. Despite the Leaf ninja rescue attempt, Naruto and Guren do not return. Frustration builds among the group, but as Three Tails wakes from its sleep, the Sealing Team makes a second attempt at the Four Corner Sealing Barrier. Kabuto plots to have Three Tails crush the Leaf ninja by sacrificing Yuukimaru's power and life. Controlled by Yuukimaru, Three Tails' awesome power is about to break free from the seal, when an unexpected ally saves Shizune's sealing team. Kabuto finally appears before Naruto. Learning that Orochimaru used Guren's and Yuukimaru's feelings for his own purposes, an enraged Naruto enters battle against Kabuto. The Leaf ninja fall back and tend to their wounds. The battle has left everyone with serious injuries. Shizune examines Yuukimaru, who is in a coma, but his body is no longer able to control Three Tails. Orochimaru agonizes in pain at his hideout, now requiring level-ten medications just to sustain his body. Even with excruciating pain Orochimaru is preparing for his transference ritual, and Kabuto can feel Orochimaru's further potential. Orochimaru sheds his old body and transforms into a white serpent. As he attacks Sasuke to obtain his body, Orochimaru remembers the time he found the slough of a white snake in front of his parents' grave. Sasuke and Suigetsu visit the southern hideout to recruit their next member, Karin. Suigetsu is surprised at the hideout's low security level but is told that no prisoners can escape thanks to Karin's abilities. What is Karin's power that allows her to maintain order and an iron defense? Slipping past the riot, Sasuke arrives at Jugo's cell. But Jugo refuses to be released, even going as far as to say he rather die a lonely death than to leave the hideout. Under Kakashi's command, the Leaf ninja set off to find Itachi. Using Kakashi's ninja hounds, they gather as much information as they can on Itachi. Meanwhile, the members of the Hebi also scatter to look for information on Itachi. 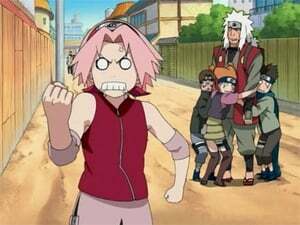 Led by the ninja hound tracking Sasuke's scent, Sakura arrives in town and draws near to Karin. Upon encountering one another, Sasuke and Deidara engage in battle. After exchanging a few blows to test Sasuke's strength, Deidara conjures up his specialty clay dragon and wages long-range attacks against Sasuke from high above. With Tobi's backup support, the battle seems to be going to Deidara. Determined to destroy the Sharingan to rid himself of the taste of defeat he received from Itachi, Deidara unleashes his biggest attack, the C4 Karura. Created to kill Itachi, this fierce weapon is capable of destroying living beings from the inside using millions of nano-sized bombs. Can Sasuke escape this attack fueled by Deidara's determination to destroy the Sharingan? Sasuke goes missing after being caught by Deidara's suicidal bombing. Sensing his disappearance, Jugo, Karin, and Suigetsu race to Sasuke's last location, where the three Hebi members discover...? Leaf ninja, she notifies the others and the Hebi members quickly leave the inn. To allow Sasuke to focus on his coming battle with Itachi, Karin comes up with a plan to keep the Leaf ninja occupied. During the reign of the Second Hokage, the young Jiraiya, Orochimaru, and Tsunade are assigned to Hiruzen Sarutobi's platoon as Genins. While training, Jiraiya accidentally transports himself to Mount Myoboku, opening the path to fulfill his destiny. Jiraiya's journey to seek out a student is postponed due to the outbreak of the Third Great Ninja War. Jiraiya joins Tsunade and Orochimaru to battle the Village Hidden in the Rain. Jiraiya successfully infiltrates the Hidden Rain Village by hiding inside the toad Gamagoro. He sets out to gather information but finds no indications of a civil war occurring within the village. Foreseeing a possible battle, Jiraiya takes precautionary measures by storage releasing the scroll toad that commands the key to Naruto's Eight-Signed Seal. Jiraiya completes his Sage Mode transformation to battle the three Pains. Having lost his arm, Jiraiya is outmatched by the six Pains now appearing before him. Of the six, the one called Tendo is revealed to be Jiraiya's former student Yahiko. Jiraiya is still puzzled by the Rinnegan's true powers, but before he can gather his thoughts, he is forced back into battle. As Sasuke proceeds to Itachi's hideout, Tobi messes with Naruto. While Itachi waits for Sasuke in the Uchiha hideout, he recalls the past incident that led to his defection from the Leaf Village. When Sasuke arrives, the fated battle begins between the two brothers. 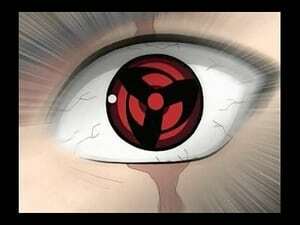 Sasuke loses his left eye to Itachi, but it turns out to be a genjutsu created by the Mangekyo Sharingan. Breaking free of the Tsukuyomi by force, Sasuke makes a furious comeback against the injured Itachi. At the climax of the battle, both Itachi and Sasuke run out of chakra. However, Sasuke reveals that his actions up until now were only a preparation for his final jutsu. Naruto and his comrades find themselves held up by Tobi, whose strange jutsu is more than just a simple genjutsu. In the Akatsuki hideout Sasuke comes face to face with Madara. Announcing himself as Itachi's accomplice from that fateful night, Madara goes on to tell Sasuke the truth about Itachi that he could never have known. The Uchiha clan was plotting a coup d'etat. The story as told by Madara leaves Sasuke at a loss for words. Because of his gifted talent, Itachi was forced to suffer, torn between his loyalties to the Leaf Village and the Uchiha clan. Flame from the Amaterasu still remains on the battlefield as Naruto and his teammates continue to search for Sasuke. But despite the search team's best efforts, they cannot find any trace of him. 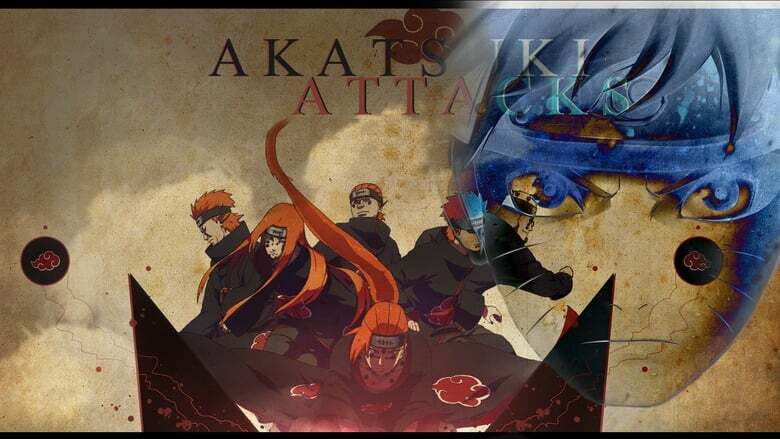 1x143 – "Hachibi" tai "Sasuke"
The Taka split up with the Akatsuki to hunt down the remaining Tailed Beast. At the Land of Lightning they go up against Killer Bee, whose attack utilizing Lightning Style and seven blades proves to be more than a match for them. Naruto has a strange nightmare several days after their failure to bring Sasuke home. Even after he awakens wisps of the dream keep haunting him. Returning from the mission, Naruto recollects his strange encounter with Itachi. What did the now deceased Itachi wish to tell him? As Naruto ponders this, Kakashi makes an abrupt visit. Naruto wanders the streets of the Leaf Village, grief stricken over the death of Jiraiya. Unable to overcome his feeling of loss, Naruto traces back through his memories of Jiraiya. What can help the heartbroken Naruto get back on his feet? Naruto and his friends successfully decipher the code Jiraiya left behind with the help of some information Naruto has. The crew immediately calls Fukasaku over, but the message is not enough to solve the mystery of Pain. At Mount Myoboku, Naruto begins his Sage Jutsu training under Fukasaku. The first challenge is "Don't move." Fukasaku explains that an extensive amount of time is necessary in order to take in nature energy. In one area of the village, Kakashi enters battle against Tendo Pain, but he can't keep up with Tendo's mysterious attacks. Shurado joins the fight, and Kakashi struggles with the two-on-one disadvantage. The Leaf Village is under heavy attack from the Akatsuki. Underneath the village Danzo takes action to achieve his ambition. Meanwhile, searching through the Rain ninja's mind, Inoichi Yamanaka is about to stumble upon valuable information. 1x161 – Sei wa Sarutobi, na wa Konohamaru! Konohamaru Sarutobi fights Naraka Pain. Tsunade comes face to face with Tendo Pain on the rooftop of the Hokage mansion. When Pain demands the Nine Tails be handed over, Tsunade refuses. Sensing danger at hand, Naruto, along with Fukasaku, rushes back to the Leaf Village from Mount Myoboku. But what they see is the remains of the Leaf Village, leveled beyond recognition. Naruto hits Pain with his Sage Jutsu-perfected Wind Style Rasen Shuriken. Although he succeeds in defeating Ningendo, the remaining Pain quickly confronts him. Fukasaku and Shima fall in battle, leaving Naruto open to be captured by Tendo Pain. Just when all is thought to be lost, Hinata, who was following the battle with her Byakugan, steps in to face Pain. Naruto loses himself after seeing Hinata taken out right before his eyes. His anger triggers the Nine Tails' chakra to go out of control. Naruto meets Minato Namikaze, the Fourth Hokage, inside his inner world. By chance, Naruto and Sora get Asuma to coach them. Under the guidance of Asuma's iron fist, they immerse themselves in training with Wind Chakra. The story goes back to right before the start of the final rounds of the Chunin Exam. As Naruto trains in preparation for his upcoming match, he hears Jiraiya speak of "the Fourth Hokage's legacy." Naruto and the others take on the oncoming challenges in order to find the secret technique and break the previous record set by the Fourth Hokage. But Naruto's impulsive action leads the group into various troubles. Naruto comes face to face with Nagato and Konan. Naruto, wanting to confront the problem of their hate-filled ninja world, asks to hear Nagato's side of the story before coming up with an answer. To fulfill their dream, Nagato, Yahiko, and Konan walk through the war zone in search of Jiraiya, hoping to learn ninjutsu from him. 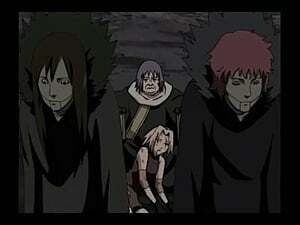 After completing their training, the three form an organization with Yahiko as its leader. 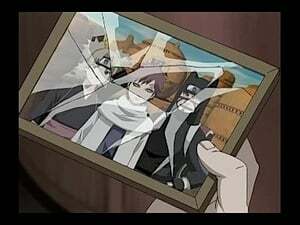 Naruto remains silent after learning of Nagato's painful past. Nagato claims true peace cannot exist in this cursed world, dismissing Jiraiya's ideal as nothing more than wishful thinking. Nagato, having decided to believe in Naruto's word, performs his last forbidden jutsu: Gedo Art Rinne Rebirth. The Leaf Village is left in ruins in the wake of Pain's assault on the village. While cleaning through the remains of Ninja Academy, Iruka finds an old pillar and recognizes it as a memoir from Naruto's early years at the academy. Naruto spends his days competing with Sasuke, the academy's star student, only to screw up and be the laughingstock of the class. Due to the childhood trauma of losing his parents to the Nine-Tailed Fox, Iruka finds it difficult to interact with Naruto as his student. 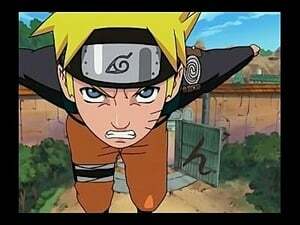 Naruto takes up his classmates' dare to venture into the forest and retrieve an item from dead enemy ninja, unaware that the forest is dangerous. An emergency council is held before the Feudal Lord of the Land of Fire. The topic is to discuss plans to rebuild the Leaf Village, and Danzo strongly urges the council to select a new Hokage to replace Tsunade. The Leaf ninja work to rebuild the Hidden Leaf Village. While helping with the restoration, Naruto and Sakura are reunited with two old friends--the carpenter Tazuna and his grandson Inari from the Land of Waves. Team 7 stops in a town for some rest, where they encounter a man named Tsukado who is out to avenge the death of his relative. Gaara, recalling a past mission carried out with the Leaf's Team 7, points out that the Leaf Village has Naruto with them. Naruto visits Sakura, who is caring for Tsunade. Sakura recalls an incident that took place three years before, in which she collapsed from symptoms that resembled a disease caused by a mysterious virus. Tenten and Neji head for the Leaf Ninja Tool Research Lab to procure ninja tools necessary for rebuilding the Leaf Village. Condor, the ostrich previously captured by Team 7, now lives in a forest with baby ostriches. Since his last escape, Condor has trained himself to become a ninja ostrich. After accidentally finishing off Lee's last special youth drink, Naruto asks Guy to make more, only to learn one of its key ingredients, the Jofuku Flower, is out of stock. Naruto is determined to get the Jofuku Flower for Lee's sake. Jiraiya takes Naruto to a village in the hopes of teaching him how to counter the Sharingan's genjutsu attack. Naruto and Jiraiya attempt to save a village from Kandachi, a former right-hand man to Hanzo of the Hidden Rain. Granny Cat requests that Sasuke and Team 7 collect the last cat paw print necessary to complete the "Paw Encyclopedia." Naruto is assigned to a team led by jonin Hayama to patrol the north border of the Leaf Village. One of his teammates is Kosuke, an old man who has been a genin for over fifty years, earning him the title "Eternal Genin." A beautiful kunoichi spy named Hanare is captured for attempting to gather intel on the Hidden Leaf. During the Chunin Exam, Neji rests in the medical room, having lost to Naruto. Just as Tenten comes in to check up on him, they see the Leaf Village attacked by Orochimaru and his men. 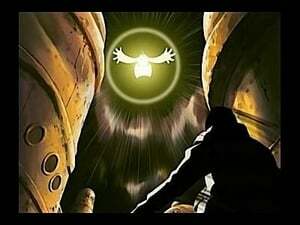 On his way home Naruto comes across a rock pasted with a peculiar talisman, which he tears off without thinking. That night, Naruto is surprised to find an amnesic ghost standing near his bed. Team 7 is after a group of thieves who have stolen the precious Golden Statue from the Feudal Lord's sister. Sasuke remembers meeting a young girl named Naho. Naruto wants to help Karui and Omoi find their master but refuses to tell them what he knows about Sasuke. Karui and Omoi of the Hidden Cloud press Naruto to give information regarding Sasuke. Naruto realizes they're motivated by wanting to save their captured master, but decides he cannot sell out his friend. Instead, Naruto offers himself as a punching bag for Karui and Omoi to abuse to their hearts' content. Kage from each nation set out to attend the Five Kage Summit. To prevent the cycle of hatred bound to occur should Sasuke be killed, Naruto goes to the Raikage and begs him to forgive Sasuke, but the Raikage quickly dismisses the request. Mifune calls for the formation of the Allied Shinobi Forces to counter the Akatsuki and proposes the Hokage to lead them. Meanwhile, Sai reveals Naruto's actions to Sakura. Madara, who has taken an interest in Naruto, makes a sudden appearance before Naruto and reveals the truth behind Itachi's actions. Meanwhile, the samurai learn of Sasuke and his team Taka's entry into the Land of Iron, and battle ensues between the two groups. The truth behind Itachi's actions leaves Naruto, Kakashi, and Yamato in shock. Meanwhile in the Land of Iron, Sasuke and the Raikage are fighting a battle to the death when Gaara, the Kazekage, intervenes. Having blocked the combined attacks of Gaara, Temari, Kankuro, and Darui with his Susano'o, Sasuke goes after Danzo. Madara reveals the origin of the tailed beasts; the TEN TAILS. The Kage respond to Madara's declaration of war by forming the Allied Shinobi Forces, with the Raikage as their leader. Meanwhile, Sakura arrives in the Land of Iron to speak with Naruto, but her confession surprises him. Elsewhere, Kisame appears before Killer Bee and his master as an unwelcome guest. Killer Bee engages in a deadly battle against Kisame, who has come to capture the Eight Tails. Kisame reveals to Killer Bee that his weapon, Samehada, possesses the ability to rob and convert enemy chakra into the wielder's own strength. Now infused with more strength, Kisame shows his true power as the Tailless Tailed Beast. Elsewhere, while in pursuit of Danzo, Ao falls into Foo's deadly trap. As Sai rats out on Sakura, Naruto hyperventilates. Meanwhile, Madara and Sasuke make their assault on Danzo and his bodyguards. Kakashi races to stop Sakura from fighting Sasuke herself leading Narutoto over think the situation and pass out. Meanwhile, Sasuke battles Danzo, but there's something strange about his opponent. Danzo's uncanny jutsu prevents Sasuke from landing a clean hit on his enemy. As Karin attempts to analyze Danzo's jutsu, Madara recognizes it as Izanagi, the Uchiha's forbidden Visual Jutsu and ultimate genjutsu technique that enables the user to control the space between fantasy and reality. Danzo believes he's won the battle against Sasuke. Little does he realize, Sasuke placed him under genjutsu before they last exchanged blows. Not knowing his Izanagi has already expired, Danzo finds himself severely wounded and beginning to lose control over the First Hokage's cells inside of him. Still determined to survive and achieve his goal, Danzo decides to take Karin as a hostage. 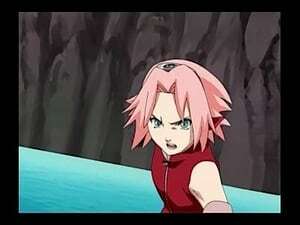 Having tracked down Sasuke's whereabouts with Kiba's nose, Sakura attempts to put her allies to sleep and carry out the task of killing Sasuke herself. As Sakura heads toward Sasuke, she begins to recollect her fond memories of Team 7. Memories from his childhood course through Naruto's mind as he rests to recover from his hyperventilation. Now realizing what it means to gain something dear and then lose it, Naruto sneaks out of the inn to follow behind Sakura and Kakashi to find Sasuke. Sakura tells Sasuke that she wishes to desert the village and join him. A skeptical Sasuke tells Sakura he will believe her if she can finish off Karin. When Sakura hesitates to do so, Sasuke attacks her with Chidori but is stopped by Kakashi, who has arrived in the nick of time. Naruto reproaches Sasuke for attempting to kill Sakura. Then Sasuke reveals that he killed Danzo with his own hands. He goes on to declare his intent to purify the Uchiha Clan's name by annihilating the Hidden Leaf, whom he holds responsible for dishonoring the Uchiha Clan. Naruto, ignoring Kakashi's order to leave with Sakura, charges toward Sasuke with his Rasengan. After White Zetsu prevents Naruto from defeating Sasuke, Naruto throws his goal of becoming Hokage away and refuses to kill Sasuke just to end his life as a renegade. Killer Bee returns to the Hidden Cloud Village to the delight of Omoi and Karui. He has brought Kisame's sword, Samehada, with him. Bee believes the sword has taken a liking to him but is unaware that this is all just part of the Akatsuki's plan. Meanwhile, Sai informs the Leaf Shinobi of Danzo's fate. The formation of the Allied Shinobi Forces is ratified by the Feudal Lords of the Five Great Nations. Each Kage returns to their village to prepare for the coming war. Meanwhile, Naruto has returned to the Leaf Village and asks Shikamaru to gather up his friends. The Elder declares Kakashi Hatake as the 6th Hokage. Naruto is summoned to Mt. Myoboku to face the Great Elder. Meanwhile, Tsunade calls a meeting to discuss the inevitable war with the Akatsuki. Anko and a group on Leaf ninja discover Madara's location. At the same time Kabuto requests partnership with Madara in the upcoming war. Madara is unable to say no. Meanwhile Naruto continues to remain in Mt. Myobuko. The five Kage make the decision to keep Bee and Naruto out of the war. Meanwhile, Naruto and Yamato are taken to a remote island for training. Naruto, Yamato, Might Guy and Aoba are ready to depart for the remote island. When suddenly, Aoba and Guy are attacked by a giant marlin. Guy becomes extremely seasick resulting in a stop at a nearby island. 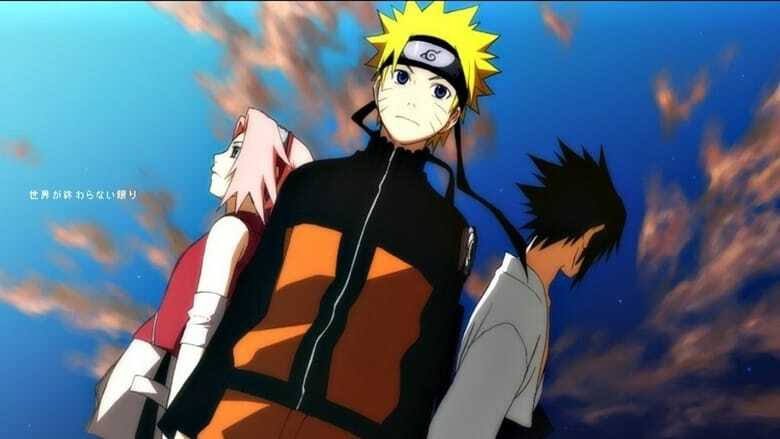 Naruto finds Sakura, Ino and Choji who are on their own special mission. Naruto and the crew encounter a ghost ship. After boarding Naruto comes into contact with a boy called Hishaku who's shipmates were killed by a giant sea creature. Naruto's ship gets caught in a unique storm. The storm is the work of a group of savage pirates. After barely escaping their clutches, the crew wash up on an island which seems to have a devastating history. Naruto's ship is caught in another storm, when suddenly Guy is taken by a giant bird to a nearby island. After investigating the island Naruto finds that everything is a little bigger than normal. 1x228 – Tatakae Rokku Rî! Guy remembers a terrible incident that may ruin Rock Lee's view of him. He continues training Rock Lee but the training all seems to relate to the terrible incident. Naruto's ship stops at a port to resupply. With no food everyone is starving. All seems fixed when Naruto purchases some Mushrooms. But that was only the start of a sudden flow of problems. Naruto's ship is caught in another storm. This time Naruto uses his shadow clones to defend the ship from harm. After the storm, Naruto becomes his own worst enemy and his shadow clones turn on him. Naruto's ship is caught in an obstacle field of reefs and a whirlpools. Shikamaru is along for the ride and the situation helps teach him a lesson. Tenten gets all the girls together to reminisce. Kiba also holds a get together for the boys to reminisce. meanwhile, Tsunade meets with the Fuedal Lord. Naruto's reputation is on the line as he is faced with a law breaking impostor claiming to be him. Konohamaru seeking to prove himself as a powerful ninja, challenges Temari to a battle. Things heat up as Temari taunts Konohamaru. Kokuyo craves leadership of a village through Shizuka's hand in marriage. Shizuka rejects his offers many times. Naruto then is forced into a battle for Shizuka's hand in marriage. Shino begins to reminisce about a mission he once took part in with Naruto, in which he learns the true meaning of friends and teammates. Tenten reminisces about the time when she craved to be like Lady Tsunade, only finding out that all her characteristics didn't align with Tsunade's. Sai is given the day off. He reminisces on his bonds with his friends, and ends up using his artistic skills to display his feeling of the the bond. Shikamaru, Ino and Choji reminisce on their time with Kosuke Maruboshi, and their time creating the Ino-Shika-Cho technique. Kiba is upset at the overbearing success of Naruto and seeks out Kakashi to help him train. Kakashi summons his dogs to spar with Kiba and Akamaru. The pair retreat to a spot that Kiba knows very well. Guy is extremely sea sick and accidentally sends an SOS turtle to get Kakashi's help. During a stop for supplies, Naruto meets Akatsuchi and Kurotsuchi of the Hidden Stone. They are on an important mission to deliver a letter from the Tsuchikage to the Mizukage. 1x243 – Jôriku! Rakuen no shima? Naruto finally arrives to the island and meet Killer B.
Motoi tells Naruto and Yamato a story about him and Killer B. 1x245 – Saranaru shiren! Naruto VS Kyûbi!! Naruto will face the Kyûbi with the guidance of Killer B, but first he needs to face his own inner hatred. Naruto continues his fight against the Nine-Tails and makes an unexpected encounter. With the help of his mother, Naruto fights the Nine-Tails. Then, Kushina start telling the story of the day her son was born. 1x248 – Yondaime no shitô!! The story of the day Naruto was born continues: the mysterious masked ninja makes his move and chaos ensues at Konoha Village. The story of the day Naruto was born comes to an end: the situation at Konoha is critical and Minato is willing to do anything to save his newborn son and the village. 1x250 – Chinjû VS Kaijin! Rakuen no tatakai! Guy arrives at the Waterfall of Truth to help Naruto with his training. Instead he encounters Kisame, who has infiltrated the island to locate Naruto and Killer Bee. Guy tries to prevent Kisame from delivering intel to the Akatsuki, and a battle ensues between the two. Kisame's escape is prevented thanks to Guy's efforts. Aoba enters Kisame's mind to gather intel on the Akatsuki. In the process he learns about the ex-Hidden Mist ninja's bloody past. Madara appears in the Hidden Rain Village seeking the corpse of Nagato and his Rinnegan. Anticipating his arrival, Konan engages in battle to protect her beloved friends and to stop Madara's plot to bring chaos into the world. 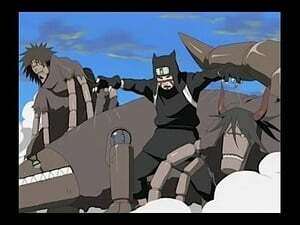 The Leaf and Cloud ninja prepare to relocate Naruto and Bee, as the Akatsuki may already have knowledge of their location. Aoba assigns Naruto an S-rank mission to distract him from learning about their true mission: keeping the two Jinchuriki hidden from the enemy. Kabuto and a reanimated Deidara attempt to grab hold of the jinchuriki, but are stopped by the Tsuchikage, who has come to protect Naruto. 1x256 – Shûketsu! Shinobi rengô-gun! The Tsuchikage and his team manage to safeguard the Jinchuriki, but at the cost of losing Yamato to the enemy. Meanwhile, both the Allied Shinobi Forces and the Akatsuki complete their final preparations for battle. The Fourth Great Ninja War is about to begin. A look back into the early years when Naruto and Sasuke first met and got to know each other. During the Chunin Exam, Sasuke witnesses Naruto's growth as a shinobi and comes to acknowledge his teammate as a rival that he doesn't want to lose to. Sasuke's defeat to Gaara, and later Itachi, forces him to realize that he is not strong enough to get revenge against his older brother. To make matters worse, his jealousy of Naruto's growth deepens Sasuke's thirst for power. Naruto and Sasuke clash in battle. The Allied Shinobi Forces are on standby, ready to confront Madara's army of reanimated shinobi and 100,000 White Zetsu. But distrust still exists among the Allied Shinobi Forces, who were once sworn enemies until recently. 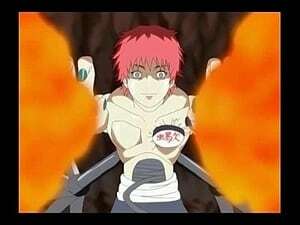 To foster unity among the troops, Gaara delivers a speech about the reasons why he is fighting, and what it means for the future of all shinobi. Kankuro's commando unit enters enemy territory to set up a stronghold for the Allied Shinobi Forces. They are immediately ambushed by the Akatsuki's own commando unit comprised of the reanimated Deidara and Sasori. The Fourth Great Ninja War has officially begun. The Allied Shinobi Forces' commando unit engages with the Akatsuki in the first wave of battle. 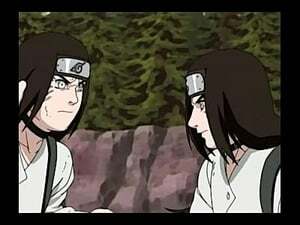 During the fight, Sai is reunited with his brother Shin who has been reanimated and is now under the Akatsuki's control. Under the guidance of Killer Bee, Naruto enters the final stage of training to master the Tailed Beast Bomb, a Jinchuriki's most powerful technique. Meanwhile, Kabuto agrees to divulge the secret behind the Reanimation Jutsu to Madara as a token of trust. The commando unit is in hot water as they engage the reanimated Kekkei Genkai shinobi, which include Zabuza Momochi and Haku. Luckily, Kakashi and his unit arrive in time to assist them. Realizing they no longer have control over their bodies, Haku and Zabuza implore Kakashi to stop them at all costs. Kakashi and his unit devise a strategy to take on the Kekkei Genkai shinobi, but it's foiled by Kabuto, who uses the Reanimation Jutsu to summon the most powerful members of the Seven Ninja Swordsmen of the Mist. As the battle intensifies, Kakashi is determined to bring an end to this meaningless war and free the souls of Zabuza and Haku. 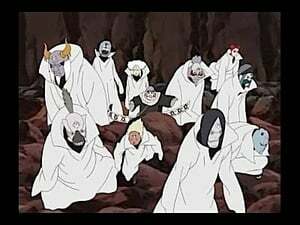 The Akatsuki dispatch an army of powerful reanimated shinobi and White Zetsu across the war zone, causing chaos within the Allied Shinobi Forces' chain of command. Taking the matter seriously, the Raikage plans to join the battle but is halted by Shikaku Nara, who quickly devises a strategy to deal with the situation. 1x268 – Sorezore no gekisen!! Atsui, Samui, and Darui face off against Kinkaku and Ginkaku, the legendary brothers from the Hidden Cloud, feared even by the Raikage. Using the Five Treasured Tools of the Sage of Six Paths, the brothers quickly defeat Atsui and Samui, leaving Darui to fight on his own. Sakura falls from a great height and gets amnesia. Ino tries to help her remember. With Kakashi's return, Naruto resumes training for his new jutsu. Kakashi explains that the transformation training will enter the next stage. Naruto and Nine Tails engage in a heated conversation. Nine Tails continues to berate Naruto about hatred and Sasuke's hatred. They recall Naruto's first spar with Sasuke which Naruto didn't do anything but to continue raise Sasuke's anger in Nine Tails' opinion. Naruto fully confronts Nine Tails telling him that he will manage to do something about the ensuing war, Sasuke's hatred and even Nine Tails' hatred. As night falls in the Ninja War, Madara's next phase with White Zetsu begins. Over at the Medical Unit camp, Sakura and the other medic ninja work nonstop to treat the wounded. Neji is there to recover from overusing his Byakugan. Kiba, Hinata and Shino get trapped in a cave that seems to act like a hole in the barrier. What really awaits them is white zestu's sinister plan to take them down and further infiltrate the camp. Back at the Fifth Company's camp, Kurotsuchi attempts to negotiate with the captive Deidara to find out Kabuto's location, but is quickly rebuffed. When Deidara learns that Sasuke survived his ultimate art explosion, he plans an escape with help from a White Zetsu. 1x282 – Hiwa: Saikyô taggu!! Tsunade and the Raikage arrive to prevent Naruto and Killer Bee from joining the battle. But the two Kage fail to convince the Jinchuriki to turn back, forcing the Raikage to use extreme force. 1x283 – Futatsu no taiyô!! Fourth Raikage Ay attacks Naruto in an attempt to prevent the Jinchuriki from falling into Madara's hands. Ay is unwilling to listen to either Tsunade or Killer Bee's pleas to change his mind. Tsunade takes the third Raikage one-on-one at Skandenberg. 1x288 – Kyôi, Jinpachi - Kushimaru konbi!! Kakashi races to the scene where the Seven Ninja Swordsmen Kushimaru Kuriarare and Jinpachi Munashi were last sighted. While investigating the village near Tonika, Kabuto confronts Naruto. An epic battle erupts as Kabuto uses the forbidden Reanimation Jutsu against Naruto. In the meantime, Dokku and the five survivors lie low at the village where Mina learns a particular melody that she keeps playing on the xylophone. Naruto manages to get to know Dokku and the children despite an initial misunderstanding. As they talk, he learns about the legend surrounding the Hole and the Mystic Power. Naruto and Sakura decide to stay at Shiseru's house overnight to help watch over the survivors. Although the children cry and miss their deceased parents, Dokku and Shiseru try hard to bring everyone together as a new family. Suddenly Naruto falls gravely ill, and Mina demands that he leave at once. A clone possessing the Nine Tails' chakra emerges from Naruto's body. Seeking more power, the clone goes on a rampage, destroying everything in its path. Will the Leaf ninja be able to stop this powerful clone?! The Saezuri is revealed and activated. Exposing Kabuto is exposed as the true enemy, and summons the Nine-Tailed Naruto Clone, Hidan, and Deidara. Naruto and his team mates become engaged in a fierce battle. The Nine-Tailed Naruto Clone mutates into a hydra-tail nearly completely taking over Naruto's consciousness. Meanwhile, Dokku and Shiseru decide to sacrifice themselves to deactivate the Ama no Hoko. Naruto enters the battle to defeat the white zetsu's impostors. Naruto uses a range of new techniques. Gaara engages the four Kage including his father. Gaara updates his father on his life. Gaara's father is in shock and chooses to test Gaara's strength. Nagato and Itachi meet Naruto and Killer Bee while under Kabuto's control. They are forced into battle and Itachi is able to free himself from the control of Kabuto. Naruto is on the verge of losing his soul to Nagato. Killer Bee and Itachi come to his rescue. A viscous battle against the third Raikage begins. Can the Shinobi Forces seal one of the strongest shinobis of all time. The battle against the Second Mizukage rages on. Elsewhere, everything has come to a standstill in the face of many White Zetsu clones infiltrating shinobi ranks, especially at the Logistical Support and Medical Divisions. Otogakure's Sound Four is reincarnated on the battlefield. The now grown up members of the Sasuke Retrieval Team dominate their opponents. However, a seal activates around the defeated shinobi and Kiba, Akamaru, Neji, Shikamaru, and Choji. Neji, Shikamaru, Choji, Kiba, and Akamaru arrive in another location surrounded by the sound four. Whom seem a lot stronger than before. Time is running out for the Leaf shinobi whose souls are trapped inside the Sound Four's barrier. Ino and Shino exhaust their own chakra to keep their friends alive. Hinata remembers the time that Neji protected her when they were younger, when Neji was left in charge of Hinata's training. Summoning a confused Hayate Gekko, who died at the time of the Chunnin exams, Kabuto pairs him up with a cloud and sound ninja and sends them into battle. Hayate fights against Yugao in a battle of swords. Naruto arrives to help a team of Allied Shinobi Forces led by Karui, who are struggling against a reanimated samurai, whom Naruto recognizes as a man named Tatewaki he met on a previous mission. A flashback entails. Naruto's flashback of Tatewaki continues. This episode is a Prologue to the Naruto Shippuden movie 'Road to Ninja'. It begins with Tobi speaking with Zetsu about testing out a limited, trial-version of the "Infinite Tsukuyomi". Still searching thoroughly for any remaining factions of the enemy, the Third Division came across another reincarnated shinobi: Master Chen - a renown hero of Konohagakure who was thought to have died during the Third Shinobi World War. A young boy called Yota appears in three different places in front of the people he once knew. Yota is gifted in regards to weather abilities. Another Yota appears in front of Naruto who suspects the one in front of him is the only real Yota. The flashbacks of Yota continue until the leaf ninja finally put an end to the story of Yota. 1x316 – Edo Tensei rengô-gun!! Kabuto summons his group of 'failed attempts' to recover his power ninja who have been sealed. 1x317 – Shino VS Torune!! Shino verses a gifted reincarnated relative from the foundation. Fukai, the previous host of the eight tails, appears to fight Bee.Killer Bee is overconfident until Fukai reveals that he still has the eight tails chakra. The Fifth Division led by Mifune is confronted by the reanimated Kimimaro. While Kankuro fights against lady Chiyo. Thousands of White Zetsu overrun a group of ninja. Seven child ninja from the cloud head towards the battle as reinforcements. When Omoi hears this he runs of to find the children. Naruto's Kage Bunshin finally arrives at every battlefield to help identify the White Zetsus. An unexpected and shocking surprise is revealed. Madara is revived through Edo Tensei, Kazekage Gaara and Tsuchikage Ônoki are forced to fight him. Hokage Tsunade, Raikage A and Mizukage Mei joins Kazekage Gaara and Tsuchikage Ônoki in the battlefield to fight against Edo Tensei Madara. Naruto and Killer B meet Tobi and the six former Jinchûriki revived through Edo Tensei. The story of how Akatsuki captured the Rokubi Jinchûriki, Utakata, is shown (filler). 1x325 – Jinchûriki VS Jinchûriki!! Naruto and Killer B fights against Tobi and the six Jinchûriki that now holds the power of the six Pain. Naruto, Killer B and the Hachibi receives aid from Kakashi and Gai to fight the Jinchûriki in biju mode. Meanwhile, Sasuke decides to go outside and test his new eyes. Kurama the Kyûbi recalls his struggle to release himself from the seal through Naruto's life. Suigetsu finds something interesting and alongside Jûgo they go look for Sasuke. Sasuke is able to test once again his new Mangekyo Sharingan against White Zetsus and learns about the war. Tsuchikage Ônoki remembers how he inherited the Will of Stone and gather strength to fight Madara. Sasuke encounters his late brother Itachi (revived through Edo Tensei) and pursue him looking for answers. Madara reveals something that enrages Tsunade. Tsunade leaves her post as Medic Ninja to join the other Kage in fighting Madara. 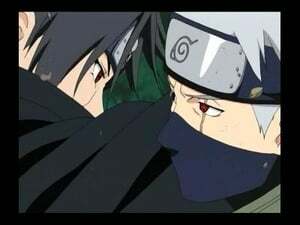 Meanwhile, Sasuke goes after Itachi and learns that his brother intends on stopping Kabuto�۪s Reanimation Jutsu alone. Sasuke and Itachi fights Kabuto. Kabuto rememorates his early childhood. Yakushi Kabuto rememorates how he has become who he is now through the different events in his life. Sasuke and Itachi fights Kabuto. Itachi uses the Izanami. Itachi explains to Sasuke how the Izanami works and how it is related to the Izanagi. Having absorbed the chakras of all nine Tailed Beasts, the Gedo Statue begins its transformation into Ten Tails. 1x343 – Temê wa dare da!! Kakashi is disturbed to discover a strange connection between the masked man's Transportation Technique and his own Kamui Jutsu. Madara has rescued a dying Obito and tells him about his plans. Two White Zetsu helps Obito in his rehabilitation, while they explain more about Madara's plan and bring some news regarding Rin and Kakashi. After the end of the Third Great Ninja War, the Leaf Village is divided over who should become the next Hokage. Minato Namikaze is soon appointed as the Fourth Hokage, much to the annoyance of Danzo and Orochimaru. Meanwhile, Kakashi is haunted by the deaths of Obito and Rin, causing him to lose focus on his missions. Kakashi becomes part of the ANBU Black Ops, an elite team of shinobi who are under the direct command of the Fourth Hokage, Minato Namikaze. Although he is highly regarded by his peers, Kakashi's ruthless way of killing the enemy has earned him the nickname "Cold-blooded Kakashi." At the Foundation, Kakashi meets a boy who uses Wood Style, a jutsu that only First Hokage Hashirama was capable of using. Kakashi goes to Third Hokage Hiruzen's library to seek answers and discovers records regarding Hashirama's cells. Orochimaru is forced to flee the Hidden Leaf after Third Hokage Hiruzen exposes his illegal experiments. Danzo, fearing that Orochimaru's capture would lead to the exposure of his own involvement in the experiments, sends out one of his men to help the rogue ninja. Yukimi leaves the village to see the outside world, taking "Tenzo" with her. Kakashi tries to convince the two to return so that he can set a trap to capture Orochimaru, who is after Yukimi's blood. But Yamato, who has grown attached to Yukimi, abandons his original mission to protect his friend. Danzo orders Tenzo to kill Kakashi and take his Sharingan. Reluctant at first, Tenzo decides to carry out his orders after learning that the Leaf Shinobi has come to be known as "Kakashi the Friend Killer." After being saved by the target he was ordered to kill, Tenzo realizes that the man known as "Kakashi the Friend Killer" is someone who values the lives of his comrades more than anyone. No longer wishing to kill Kakashi, Tenzo abandons the mission and returns to the Leaf Village, fully aware that his actions will stir up Danzo's anger. Itachi Uchiha is inducted into Kakashi's unit as the youngest member of the ANBU Black Ops. Itachi's father, Fugaku, is pleased, thinking this will grant the Uchiha access to exclusive, top-secret Leaf intel. But Danzo, who wants intel on the Uchiha, orders Itachi to betray his family and clan by acting as a double agent. Hiruzen relieves Kakashi of his ANBU duties and assigns him a new position as a Jonin Leader. Reflecting on his past mistakes, Kakashi decides to use the same test that Minato once used to measure one's teamwork. Kakashi desperately tries to reach out to Obito, but his words fall on deaf ears. Obito instead accuses Kakashi of being trash, which angers Naruto, forcing him to step in and defend his Sensei. 1x363 – Shinobi rengô-gun no jutsu! The barrier is shattered, and Ten Tails appears! With unfathomable power in its attack, it sends shock waves through the air! Kurama takes the lead and tries to go on the offensive, but is helpless against Ten Tails' immense strength. Soon both Kurama and Gyuki exhaust their chakra and fade away. The Allied Shinobi Forces begin their onslaught against Obito and Madara. But Ten Tails suddenly transforms and hurls powerful Tailed Beast Bombs toward distant towns. One after the other, the Tailed Beast Bombs find their targets. The shinobi wonder why Ten Tails is aiming so far away as one of the bombs heads toward HQ!. Naruto is overcome with grief over Neji's death, but Hinata's words restore his fighting spirit. Shikaku outlines his final strategy before he dies, in which Nine Tails will send its chakra to increase everyone's strength. United in their cause, Naruto and the shinobi set out to take on Ten Tails, determined that Neji and their comrades will not have died in vain! Sasuke returns to the Hidden Leaf Village seeking answers, and standing before him are First Hokage Hashirama, Second Hokage Tobirama, Third Hokage Hiruzen, and Fourth Hokage Minato, all reanimated. Sasuke asks Hiruzen for the truth about Itachi, and he questions Tobirama about the secret of the Uchiha Clan. Then Hashirama begins his story, which goes back to the feudal age, to a period before the village even existed. Villages did not exist when Hashirama was a child. It was during this strife-filled time that he met Madara Uchiha. The two youths talk about their hopes for the future, without revealing their true identities, and find they share the same vision...to create a ninja world where children do not have to die. 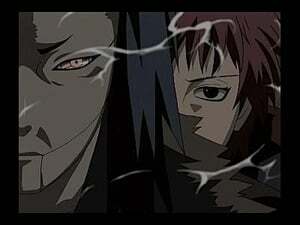 Madara and Hashirama eventually become the leaders of their respective clans. As the fighting rages on between the Senju and Uchiha, Hashirama approaches Madara about an alliance. But Madara refuses to listen and releases Susano'o instead! The Senju and Uchiha clans join together to build a shinobi village and fulfill their dreams. Standing on the cliff where they confided their youthful aspirations to each other, Hashirama and Madara gaze over the forest at their burgeoning village. Hashirama decides that Madara should be the Hokage, but his younger brother Tobirama objects, warning that the Uchiha are dangerous. After listening to what Hashirama and the rest of the former Hokage have to say, Sasuke finally understands how the Leaf Village and its shinobi came to be. He then decides on the path he will ultimately take! The fighting rages between Naruto, who stands at the vanguard of the Allied Shinobi Forces, and the team of Madara and Obito. Ten Tails' relentless attack is wearing down Naruto, and his chakra begins to dissipate. Meanwhile, Kakashi and Obito face each other in a different Kamui dimension. Ten Tails is on the brink of its final transformation and begins to form a massive Tailed Beast Bomb. The shinobi no longer have the strength or energy left to stop it, but Sakura, Shikamaru and the others refuse to give up. Shikamaru formulates a plan to combine the strength of the shinobi to block the Tailed Beast Bomb, but it proves too powerful. Right at that moment, Minato, who was revived with the Reanimation Jutsu, comes to the rescue! 1x373 – Dai nana han, shûketsu!! Team 7 is finally reunited when Naruto, Sakura and Sasuke join forces. Then the reanimated former Hokage arrive to add their strength to a counteroffensive. Ten Tails divides into countless parts, and Naruto and Sasuke charge at them. Refusing to be left behind, Sakura follows! Bearing a close resemblance to the Legendary Sannin, Naruto, Sakura and Sasuke make a stunning arrival on the battlefield with each of their summonings. Kakashi and Obito face again in an epic fight to give birth to a new evil. The townspeople are going about their daily business on the streets of the Leaf Village when someone suddenly appears and starts sending them flying. Obito completely absorbs the giant Ten Tails, undergoes a transformation and becomes the Ten Tails' Jinchuriki. With immense power gained from taking in the Tailed Beast, Obito breaks through the barrier. Counterattacks by each of the Hokage have little effect. But they are able to analyze Obito's powers, gained by using their immortal bodies. Naruto and Sasuke come up with a fighting style, but can they succeed? Obito has gained complete control over his power as the Ten Tails Jinchuriki. His powerful, cold-blooded attacks force Naruto and his friends into a corner. Meanwhile, Hashirama and Madara continue their old grudge match and fiercely battle. The other shinobi are unable to do anything but watch helplessly from the sidelines. Shikamaru tells them that although they may not be as powerful, they have the power to decide the fate of the world. His words help restore their fighting spirit. Minato is filled with regret during his confrontation with Obito. He thinks if only he had recognized Obito as the Masked Man during the assault on the Hidden Leaf Village, he could have stopped the attack, and maybe Kushina would not have died. The next day is the anniversary of Minato's and Kushina's deaths. Obito taunts Minato as a weak shinobi and seals every shinobi inside a barrier in order to destroy them all! Madara Uchiha briefs about what is written on the Uchiha sacred wall to first Hokage and in the mean time Minato cries for not spending much time with Naruto and the actual form of ten tails is the divine tree and katsyuki (mother of sage of six paths) origin was also told by Madara Uchiha. The Ten Tails morphs into its final form, "The Divine Tree," and attacks the shinobi, absorbing their chakra one after another. Hashirama tries to instill hope, but their despair is too great. The Divine Tree is close to blossoming, and Madara declares that there is only 15 minutes left before everything comes to an end. 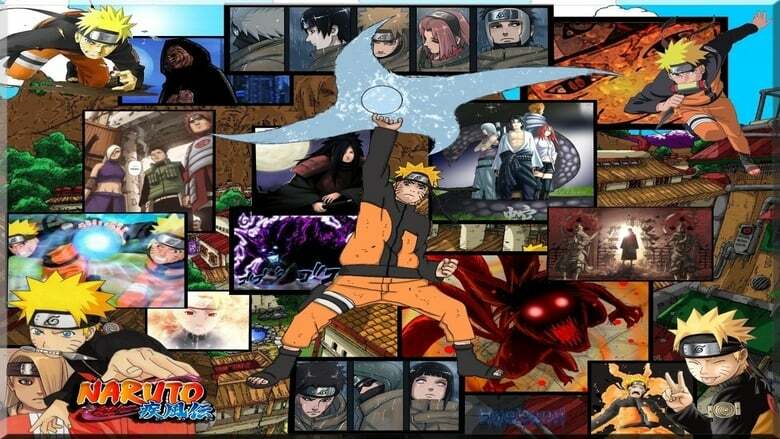 Naruto's past, thoughts, and feelings flow into the consciousness of every shinobi, unifying their hearts. Meanwhile, Hashirama's dream is revealed to the Five Kage, and they gather on the battlefield, instilling everyone with renewed hope. While Sasuke and Naruto wage an intense combo assault against Obito, Hashirama, Tobirama, Hiruzen, and the Five Kage, along with Orochimaru and every shinobi on the battlefield, join together to cut down the Divine Tree! Naruto and Sasuke fight together against Obitito, the ten tails jinchuriki. They join powers to deliver a final blow that will reveal an opportunity for Naruto to dissect the tailed beast chakaras from Obitito. But Naruto can't do this alone and so the Allied Shinobi Forces jump into to help. The picture of Naruto and his comrades throws Obitito into a conscious state of thought, in which he uncontrollably spills his deepest memories, thoughts, and past-future aspirations for Naruto to see. In order to appeal to his better side and get him to stop the war, Naruto reminds him of Rin and how she is said to be 'always watching'. We get to see a flashback of Obito's past and how his relationship with Rin was. This - and Naruto's words - seem to make him falter, giving a glimmer of hope that the war will end. Naruto's power of persuasion moves Obito's heart. Due to the influence of the Ten Tails, visions of himself and Rin from the past appear in the inner realm and play havoc with Obito's emotions. Meanwhile in reality, all the shinobi pool their strength in a tug-of-war to extract the Tailed Beast chakra out of Obito. 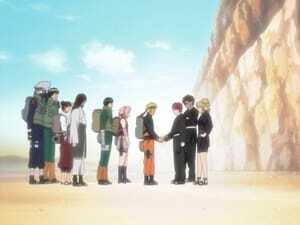 On Naruto's cue, their hearts synchronize and they pull one last time. As the war reaches its climax, will the Allied Shinobi Forces emerge victorious? Gaara tells the story of how Naruto and he became friends. The Hyuga Clan, in which the side branch family exists solely to protect the main family, has a legacy of hatred and division. Hanabi adores her sister Hinata, who struggles to become a worthy successor to the Hyuga Clan. Hanabi begins training in order to be strong and kind like Hinata. But when Hinata is labeled unfit as a successor, Hanabi's heart becomes bound to her destiny. Naruto and the Allied Shinobi Forces successfully extract the Tailed Beasts from Obito. Only Madara remains, and Naruto heads out to tackle this foe. Meanwhile, Obito, unable to move after having the Tailed Beasts taken out of him, sees a glimmer of hope as he watches Naruto. He acknowledges his sins and, in atonement, releases one more burst of power from himself to weave a certain jutsu. But at that moment, Black Zetsu appears and suppresses Obito! With his newly revived strength, Madara doesn't give in against the nine Tailed Beasts. With the return of his Rinnegan, Madara summons the Gedo Statue, ensnares all the beasts instantly and goes on a mad rampage. The Tailed Beasts try desperately to fight back, but Shukaku is close to being captured. Just then, Gaara heads towards Madara in order to protect his Tailed Beast! The Tailed Beasts struggle to free them selves from the bindings of the Gedo Statue which is being controlled by Madara Uchiha. 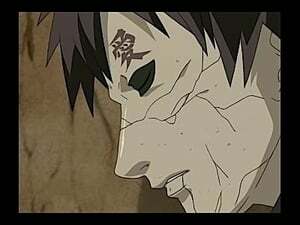 On the other front, Obito, who is being controlled by Zetsu, uses Hashiramas wood style to halt the remnants of the Allied Shinobi Forces and the Kage. Naruto is on the verge of death becuase of the Tailed Beast extraction and Sasuke has been fatally injured by Madara. Are Naruto and Sasuke going to die??? Tsunade has left Naruto's life in Sakura's hands. 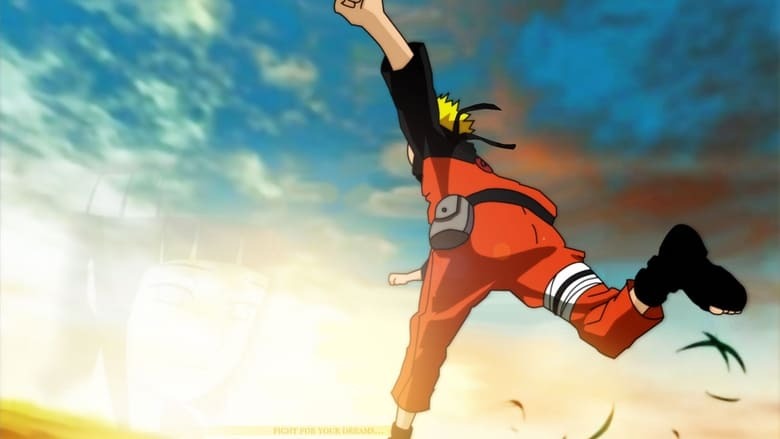 As she rides off with Naruto on Gara's sand to find Minato, the Fourth Hokage, the scene skips backwards to two years after Naruto left the Hidden Leaf Village to train with Master Jariaya. All of Naruto's comrades continue to be inspired by him even in his absence and train hard for his return. Amidst all of the training, the Fifth Hokage, Lady Tsunade, and the Fifth Kazekage, Gara, meet to discuss the return of the chunin exams. 1x395 – Chûnin shiken, kaishi! The Hidden Leaf begin preparing for the Chunin Exams. Tsunade orders Kakashi to personally deliver an invitation to the Hidden Rain Village and, at the same time, gather intel. The Mist, Cloud and Stone send their regrets, but the Hidden Waterfall and Hidden Grass accept. Ino and Choji ask Sakura to join their three-man team as a stand-in for Shikamaru, who is already a chunin. But Sakura is hesitant and turns them down. The Chunin Exams finally begin and the proctor for Round One is none other than Shikamaru! The first exam is a written test. The entrants are separated from their teams, and with little explanation from Shikamaru, the exam begins. The time limit is 30 minutes and there are only three questions. 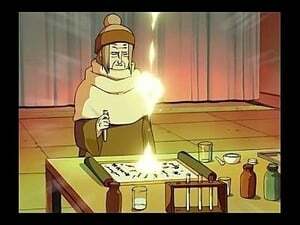 As the minutes tick away, Neji remembers the last Chunin Exams where Naruto turned in a blank sheet and still passed. He begins to realize that this exam is not about measuring one's problem-solving skills! The genin are unable to figure out the answer and start to panic. Neji announces to everyone in the room that he will tell them how to answer the question. Some of the genin don't agree with Neji's taking the lead and try to pick a fight, but fighting is prohibited. Those who fear elimination follow Neji's instructions, and soon the time limit is up. However, Shikamaru introduces another question to be answered within three minutes. Will Neji and his team be able to pass this round? 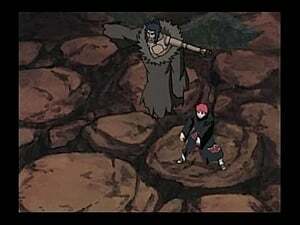 Kankuro tries in vain to stop Gaara from supervising the exams due to the lack of security and the threats against his life. Gaara vows to see the exams through to completion because of their significance to him as the place he first met Naruto. On the night before the Second Exam, the entrants gather in the cafeteria, and a brawl breaks out. While the Hidden Leaf stand by helpless, the only one who can calm everyone down is Fuu from the Hidden Waterfall Village. The Second Exam finally begins! To pass this stage, each team must take possession of both the Heaven and Earth scrolls and make it to the designated site in the center of the Demon Desert within 72 hours. Neji, Lee, and Tenten dash out at the starting signal. After observing Shira deflect Lee's kick and Fuu's enormous power, Neji decides they must avoid any encounter with their two teams. However, Lee is eager to challenge Shira! Like Lee, Shira can only use taijutsu. In the Hidden Sand, those who can't use ninjutsu cannot become shinobi. However, Lord Gaara recognizes Shira's taijutsu abilities and appoints him as his own taijutsu coach. Envious of Shira's sudden rise to prominence, the other Sand shinobi criticize and attack him. Noting the similarities of their circumstances, Lee is outraged at the ones who hurt and belittled Shira and sets out in pursuit! Lee challenges Shira to a battle between taijutsu users! Although it first appears the two are evenly matched in speed and attacks, Lee's smaller physique begins to sustain damage. In order to counter this, Lee resorts to using his Eight Inner Gates, but he is unable to release the First Gate! Kiba and his team are in pursuit of Hidden Grass Ninja who have stolen their scroll! Their foes are experts of escape and prove elusive even for Kiba and his team of expert sensory ninja. Their goal is just before them, but unless they find the enemy, the Hidden Grass will get there first! Kiba and his team are in pursuit of Hidden Grass Ninja who have stolen their scroll! Their foes are masters of escape and prove elusive even for Kiba and his team of expert sensory ninja. Their goal is just ahead of them, but unless they find the enemy, the Hidden Grass will get there first! As the team prepares for dinner, Tenten pulls out a scroll that contains all the ingredients for okonomiyaki. Lee is amazed at her ability to conjure up anything and mentions that she is "convenient" to have around. Tenten takes offense and storms off. The following day, they run into Ajisai of the Hidden Rain and her team. As fighting breaks out for the scrolls, Tenten feels an intense rivalry with Ajisai, who also specializes in Transportation Ninjutsu. Ino, Sakura and Choji trudge across a desert under the blazing sun without any provisions. Ino and Sakura are arguing when a giant scorpion attacks and injures Sakura. While Ino tends to Sakura's wound with Medical Ninjutsu, she remembers back to when she ducked out of her Ino-Shika-Cho training and how her intense rivalry with Sakura drove her to ask Lady Tsunade if she could become her apprentice. As Ino and her team head toward an oasis, they are attacked by a team of Sand Shinobi comprised of Ameno, Shishio, and Kouji. Ameno is a Medical Ninja whose skills rival Sakura's. She also has a jutsu that proves difficult to counter. Kouji is a ninja who specializes in power-based attacks, like Choji. Shishio has a jutsu that enables him to disappear and stalk Team 10. Just as Ino and her teammates are pushed to the limit, Ino remembers her Yamanaka Clan training, which she once tried hard to avoid, and unleashes her Sensory Perception Jutsu! Sakura and her team continue their trek across the desert towards the goal. Their continuous battles have depleted Sakura's chakra, so they stop to rest. Just then, they encounter a puppet manipulated by a rival team from the Sand and end up being discovered. Sakura is helpless since her chakra is not restored yet. Ino and Choji resolve to fight, but the three shinobi from the Sand prove to be too strong! Ino and Choji fight to protect an immobilized Sakura although they have depleted most of their chakra due to the relentless fighting. Feeling helpless, Sakura recalls how Naruto and Sasuke always protected her. Sakura realizes that she has trained with Lady Tsunade and regains her confidence that she can protect Ino and Choji. Then the team from the Hidden Sand begins their final attack against the trio. Will Sakura be able to dig deep and stand up to them?! Sand Jonin Fugi sneaks into the Demon Desert and creates a massive sandstorm in order to assassinate Gaara, the Fifth Kazekage. Due to the magnitude of the storm, the Second Exam is postponed for the sake of safety. Then Matsuri and the Hidden Sand team fall into quicksand! 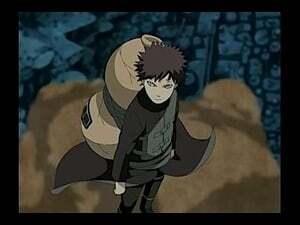 Unaware of the sinister trap, Gaara ignores everyone's warnings and sets out to rescue Matsuri's team. 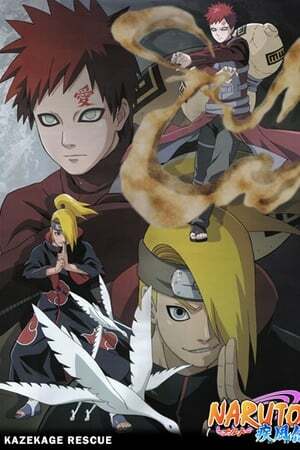 Gaara heads out to rescue Matsuri and the others but is attacked by a mysterious priest who binds him with a Chakra Chain to capture his Tailed Beast. The massive sandstorm subsides, but panic breaks out in Hidden Sand Village over Gaara's whereabouts. Meanwhile, Foo, who is also a Jinchuriki, senses that Gaara is in danger and abandons the Chunin Exams to help save him! Neji and the team come across Matsuri collapsed in the desert and find out Garra is in trouble. Gaara meets with Fugi, the mastermind behind the assassination attempt on his life. He confides that perhaps, after all the fear and pain he has wrought upon the Sand, he has no right to be their leader. But there are those who accept him without prejudice--the next generation. 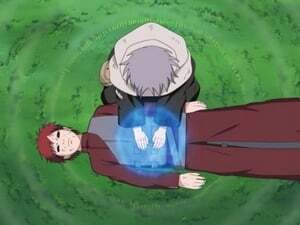 Gaara, who has never felt this more deeply than during the Chunin Exams, tells Fugi to take his life, and his life alone, without involving the young shinobi. Meanwhile, Fuu, who has learned that there is someone very much like her by the name of Naruto, sets out to meet him. Having both been bested by Madara, Naruto and Sasuke's lives hang by a knife's edge. 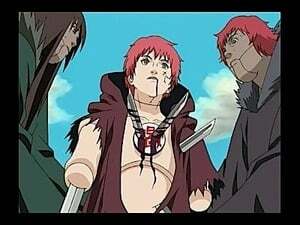 As Gaara transports Naruto to his father at the behest of the Nine-Tails, Orochimaru and Team Taka race to Sasuke as they sense a sinister presence at his location. Meanwhile, Kakashi and Minato attempt to contain Obito who has been possessed by Black Zetsu. Obito's story continues, while he turns a new leaf and helps the Allied Shinobi Forces. Maito Gai remembers his academy years, his father Maito Dai's lessons and encouragement and his rivalry and friendship with Kakashi Hatake. Gai prepares himself to use the dangerous technique Hachimon Tonko no Jin. Guy Sensei reaches his limits against Madara Uchiha. A new secret is unveiled to Naruto and Sasuke. Naruto and Sasuke begin to fight against Madara. Madara awakens the Infinite Tsukuyomi. Sasuke finds a way to protect his friends from Genjutsu. Yamato appears in the battlefield. The Infinite Dream falls upon the Shinobi World. Tenten falls under the Infinite Tsukuyomi and wakes up in the Hidden Leaf Village. 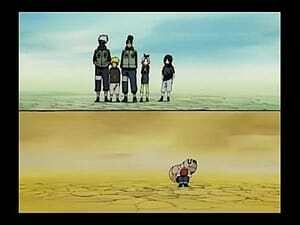 When Lee and Guy Sensei appear, Tenten is relieved to see that she is not alone. But her joy is short-lived, as both men act oddly and are dressed stylishly-just where has she been transported to? Inside the "Infinite Tsukuyomi", Tenton tries to find a way to break free of the genjutsu, while struggling with her place in the new fake world. Tailed beast jinchuriki's are gathering together to go up against the akatsuki after stealing most of their tailed beast powers. Inside the genjutsu placed by the Infinite Tsukoymi, Killer Bee has gathered all the jinchuriki in a fight against the akatsuki. Karin is caught within the Infinite Tsukuyomi and dreams of her past. She was born into the Uzumaki Clan and has the unique ability to heal anyone who bites into her. Driven out of her village, the Hidden Grass takes her in, only to use her for this ability. Karin has no choice but to endure constant suffering in order to survive. She is later chosen to enter the Chunin Exams, where Sasuke saves her life. Karin has never forgotten what he did for her-or his smile. With the exception of Naruto's Team 7, which is protected by the Susano'o, all other shinobi have been swept into a dream world by the Infinite Tsukuyomi. Even the Hokage, Tsunade, has fallen into a dream state. She awakens to find herself in the Leaf Village, where she discovers Jiraiya's final book, entitled "Jiraiya Ninja Scrolls," and begins to read. Tsunade continues to read Jiraiya's novel. 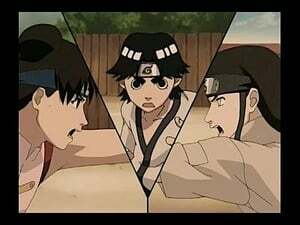 Chunin- and jonin-level ninja have gone missing, and the Fourth Hokage, Minato, orders a search mission with teams of genin led by Guy and Kurenai. Kakashi's Team 7 is also dispatched, but the hero Naruto Uzumaki, despite being the Hokage's son, has the misfortune of being labeled a loser. Team Jiraiya, Shikamaru, and his Leaf teammates are lured into a mysterious village during their battle. A couple children from the village get caught in the crossfire and fall into a cave-in. Yahiko's team rushes to the rescue, but Shikamaru doesn't budge. Meanwhile, Naruto and Neji's teams rendezvous, but a mysterious voice addresses them out of nowhere. Naruto and Killer Bee rush to the battlefield when Nine Tails suddenly speaks to Naruto inside his mind. The Nine Tails questions Naruto's intent to end the hatred in the world and reminds him of how he was unable to save Sasuke. Naruto's strength is recognized by his fellow genin, except Sasuke. But while Naruto enjoys a close relationship with his father, Sasuke's father, Fugaku, constantly compares Sasuke with his older brother Itachi and barely pays attention to him. Three years have passed since Sasuke joined the Leaf Police Force, and he's now lieutenant. But his abusive Police Force has only increased anxiety within the village, and the Uchiha remain in poor regard. Now that his training with Jiraiya has ended, Naruto returns to Hidden Leaf Village and has an explosive encounter with Sasuke in the middle of town. Sasuke leaves the leaf village in search of power. The Anbu who attack Naruto and Shikamaru are agents sent by Danzo, who had promised Orochimaru that he would deliver Sasuke safely to him. Luckily, Neji, Lee and Tenten rush to their aid in the nick of time. Meanwhile, Hiruko reveals the truth behind the incident involving Hizashi. Naruto reaches the tower Sasuke was heading for, thanks to Neji, Lee and Tenten deterring the agents from the Foundation. But it's too late-Sasuke's already made contact with Orochimaru. Naruto passionately tries to reason with Sasuke, but ultimately their powers collide. Seeing Hinata almost die triggers Naruto's anger and he goes into Nine Tails State. Naruto's power is enormous, but Pain releases his jutsu to seal him away. Hatred consumes Naruto as he tries to break the seal. With Naruto unable to calmly control the Nine Tails' power, the village steadily heads toward destruction. Several months after Pain's attack, Jiraiya arrives with intel regarding the Akatsuki, who are attacking shinobi villages and kidnapping their Kage and jonin. He also reveals that Sasuke is working with them. Naruto is determined to bring his friend and comrade Sasuke back, once and for all. Naruto wants to bring Sasuke back to the village, but Sasuke burns with a desire to bring Naruto down. Why is Sasuke so confrontational, and how did his feelings toward Naruto develop? The truth rises to the surface during Sasuke's relentless attack. Where will this battle lead? Find out in the conclusion of the "Jiraiya Ninja Scrolls." The shinobi under Madara's Infinite Tsukuyomi continue to slumber and have pleasant dreams. Meanwhile, Naruto and the others have escaped the genjutsu, thanks to Sasuke's protective Susano'o. As Sasuke starts remembering the death of Itachi, his Sharingan starts to resonate and show him the truth that Itachi never spoke a word of. Upon graduating from the Academy, Itachi becomes a genin and joins a team that includes Tenma, Shinko, and their Jonin Leader, Minazuki Sensei. They accept a mission from Granny Cat to look for a missing feline who's a skilled Ninja Cat. Itachi accompanies his friend Shisui on a three-part training exercise. The two come across a battle between the Hokage's ANBU and the Foundation. Itachi is confused by their motives and can't discern which side is right or wrong. But Shisui is unwavering in his determination to stop the fighting. Itachi joins the ANBU and is quickly promoted to captain. But he must report directly to Danzo, and is placed as a double agent to observe the Uchiha clan, who are in the midst of planning a coup d'état. With dissatisfaction rising within the clan, the Uchiha ultimately decide to carry out their revolt, and the fateful night approaches. Itachi confronts Sasuke, who for years bore the shame and anger that Itachi brought upon their clan. The truth behind Itachi's story comes to light. Back on the battlefield of the Fourth Great Ninja War, Naruto and the others fight Madara, and just as he is declaring his victory, something unexpected occurs. Kaguya Otsutsuki suddenly emerges from Madara's body. She is the mother of Hagoromo, the Sage of the Six Paths who entrusted his powers to Naruto and Sasuke. Kaguya's power is immense and instantly sends Naruto and Sasuke to an alternate dimension. Naruto and Sasuke are the only ones who can seal away Kaguya, but they can't find a jutsu that works against her. As Black Zetsu drains Naruto and Sasuke's Chakra into the reborn Kaguya, Black Zetsu tells the story of Kaguya's children: Hagoromo and Hamura in a world ruled by the Infinite Tsukuyomi. Filler episode. Kaguya is furious that Hagoromo has broken the law. Hagoromo finds out what Kaguya did in the past and makes up his mind to fight her. Knowing nothing about her, Hagoromo cannot trust her-he wonders if the love and the despair she experienced are the sole cause of her anger. Unable to reach an understanding, mother and sons begin their long, sad battle. Rikudô Sen'nin tells the story of how the Ninshû was born. Tells the story of the ancestors of the uchiha and senju clan. Indra completes his mission. Asura finds the definitive solution for his village. Hagoromo must take his final decision. Hagoromo finally chooses who will be the successor to Ninja creed. The battle with kaguya continues with an unexpected turn of events. Hagoromo wants to end the Infinite Tsukuyomi and by combining Naruto's tailed beast chakra and Sasuke's Rinnegan, they can end the genjutsu. But Sasuke plans to eliminate all traces of the tailed beasts including Naruto as he is the Jinchuriki host of all the nine tailed beasts.Sasuke declares to Naruto that he will be the Hokage at the Final Vally. Sasuke reveals his motivations as the fated final battle between two friends begins. A continuation of Naruto and Sasuke final battle. 1x479 – Uzumaki Naruto!! "Saishûkai"
The battle between Naruto and Sasuke is over Naruto is healing back in his village. Naruto and Hinatas childhood memories.Naruto is alone and trains to get stronger.On the other hand Hinata is trained to become a great successor of the Hyuga clan. Tells about Sasuke's journey after the Fourth Great Ninja War and his pursuit of atonement for his sins. Sasuke seeks Orochimaru to help him find out who is behind the exploding humans. Sasuke and Orochimaru investigate the situation trying to find who is using what seems to be kekkai genkai to make exploding humans. Sasuke arrives at Hell Valley and learns the truth about Ketsuryugan. Sasuke informs Kakashi of the exploding humans and he wants to investigate independently. Shikamaru is captured while trying to save Sai and stop Gengo. Far from giving up, he racks his brain to find a away out of the situation. Just as an opportunity presents itself, Ro and Soku appear under Gengo's control. Ino, Choji, and Temari rush to Shikamaru's aid. Choji takes on Ro, Temari goes after Soku, and Ino goes after Sai. Meanwhile, Shikamaru pursues Gengo. Can Shikamaru defeat Gengo's evil ambitions? The final battle begins. Lee and Tenten search for a wedding gift and ask Guy for advice. Lee considers barbells or workout materials but thinks those are no good. Later that night, he imagines seeing Neji encouraging him to use his strength to find the answer. Lee thinks barbells are perfect as a gift but Tenten is bewildered. She doesn't know what to give Naruto and Hinata because a kunai is too unusual for a wedding. Ultimately, she decides to give them a kunai set as a gift. The game of finding gift for naruto's wedding is still fierce. Shikamaru along with Temari and Choji, Ino, Sakura search for the perfect gift. Gaara and his siblings, along with A and his entourage, arrive in Konoha for the wedding. Gaara wants to give a gift but thinks it must be extravagant. Lee and Tenten take the Sand siblings to Ichiraku Ramen to give them an idea of what Naruto likes. Iruka meets Gaara for the first time and thanks him for being Naruto's friend. Killer B decides to host a dancing show for the wedding with the Kage as performers, much to A and Mei's dismay. Gaara realizes his gift to Naruto should be from him as a friend rather than as a Kazekage. The day of the wedding finally arrives, as iruka finally figures out the perfect message. "Naruto": Doch nicht das Ende?